A group of clueless tradesmen gather in a woodland copse to rehearse a play that they hope to perform for the Duke on the occasion of his marriage. But first they have to decide who plays what part … not as easy as you would imagine because Bottom, a weaver by trade, wants to play all of them! They are watched by the mischievous sprite, Puck, who serves Lord Oberon, the King of the Fairies. Oberon has recently had a quarrel with his Queen, Titania, and wants to play a trick on her. When Puck tells him about the stupid tradesmen rehearsing in the woods, Oberon has an idea. He decides to cast a spell so that Titania will fall in love with the first creature she sees – and that is going to be a rather bossy weaver called Bottom who, thanks to more of Oberon’s trickery, is now sporting an asses’ head instead of his own! 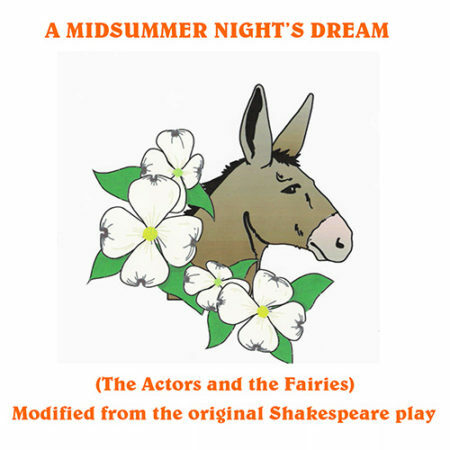 What transpires is, of course, very silly, and this charming section of the play “A Midsummer Night’s Dream” is just perfect for youth performance. 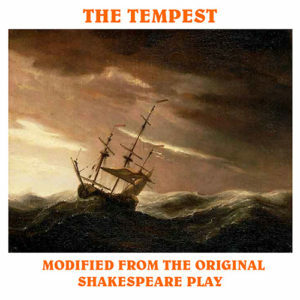 There is no music with this play but we would recommend the use of some light classical incidental music if required.